Finally, Rename It! has been released! You must love this wizard if you like refactoring. It can help you quickly rename an unit and update its references in the project group. In the ealier IDEs such as Delphi 7, Just press the shortcut key (By default, it’s Ctrl+Shift+U) insteading of using “Save AS”, and the refactoring will be finished in a second. In the newer IDEs such as Delphi 2007, You will be notified when a module was renamed in the project manager and the refactoring can be performed automatically. Futher more, the old module files and its corresponding dcu file could be moved into the Recycle Bin if exist. 2. Which versions are supported? Delphi 7, 2007, 2010, XE are now supported. 5. How to order this product? Note: There is no license checking in the release. But if you like this tool then you need to order the product when you have used it for more than 15 days. We are so excited since we have just been donated by Help & Manual which is a great and well-known single-source help authoring and content management system for both single and multi-author editing. 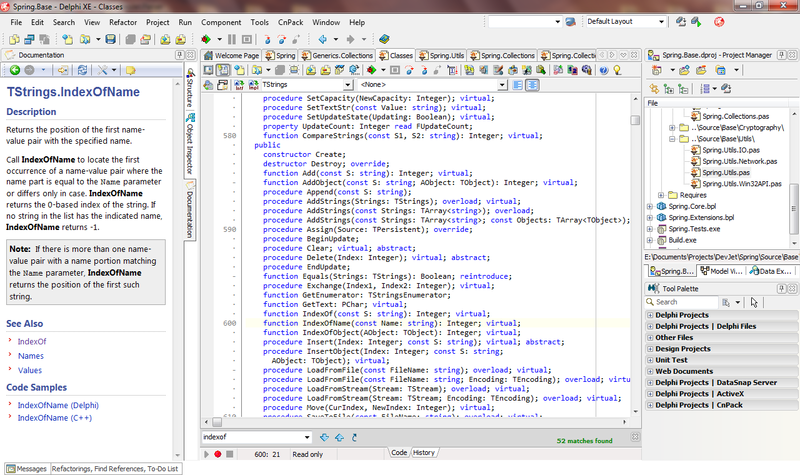 It is really fantastic since we can write User Guide of Spring Framework for Delphi with this professional tool. P.S. 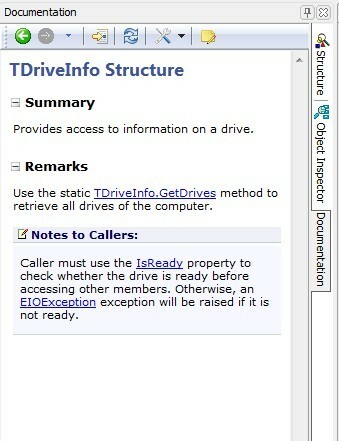 We need a documentation manager for the spring4d team, to help us review the documentation especially the User Guide. We are going to spend more and more time on next version. If you are interested in it, please drop me an email. Due to a mistake in deployment, the old installer of Rename It! was still non-functional. We are very sorry for the inconvenience. Please download the latest installer. Any problems or ideas, please post a thread on our support forum. It has been about 9 months since we released the V0.2. We are keeping working on this open source project and we need your voice so that we could spend more time and energy on the most valuable features. What are your top 3 favorite features of spring4d? We are very happy to announce the DevJET.net. Our mission is to provide some modern & robust application frameworks and productivity utilities to simplify and boost your daily software development. At present, we are still working on the open source spring4d project and preparing for the next release. You are welcome to give us any feedback. Another good news is, Alex, who is the author of the DeHL project, and I have decided to merge the DeHL project to spring4d and join forces to build the best framework for our Delphi community. There are so many things in our to-do list so we need your voice. Please feel free to give a vote. Our official forum is here. Provides a WYSIWYG plugin to view and edit xml documentation in the IDE. Help you quickly rename an unit and update its references in the project group. Provides visual representation of documentation while exploring a source code file. At the moment, only xml style documentation is supported. 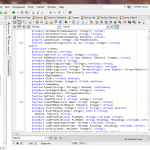 With Documentation Insight, it is extremely easy to edit xml style documentation. You must love it once you have a try. You should get the basic ideas from the snapshots. Please leave us a message if you are interested in it.